Whether your on business or pleasure, coming into the UK or just meeting someone at the airport, we can get you there, no journey is too big or small. Our business clients use our transfer service because of the reliability we provide. Your personal chauffeur will be waiting for you in the arrivals hall whether your flight is delayed or early, and then help you with any baggage to your luxury 2005 Range Rover with privacy glass. Now you can just sit back and relax while we take you to your destination. Future provides a leading personal chauffeur service to a variety of clients. With a highly professional and comfortable experience you can rest assured that all your needs will be catered for. At Future we have the latest and most prestige Limousines and prestige cars available. 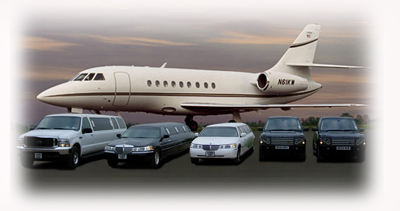 Our chauffeurs are professional and reliable 100% of the time so you have no need to worry. Since 2008 Future Limos has not traded to the public however can recommend some local business that provide a great service within our niche, some of which have worked close with our team over the previous years and happy to provide contact details. If you are looking for great modern limousine hire within the Warwickshire area please contact Premier Limo Hire in Rugby, if you prefer a more executive approach of travel such as a 4x4 vehicle then try visiting here for some fantastic choices of SUV vehicles such as Land Rovers. We hope you manage to source alternative travel for your transport needs.